Does the EU 2030 Climate Policy Reflect the Benefits of Forest Management? The long-term climate benefits of forest management are not fully taken into account by the current legislative proposals of the European Commission on LULUCF (Land Use, Land Use Change and Forestry) and ESM (Effort Sharing Mechanism). EUSTAFOR’s new Position Paper presents the perspective of state foresters on the proposals of the European Commission concerning Climate Policy. EUSTAFOR experts have analyzed the LULUCF and ESR proposals and provide their comments and recommendations. EUSTAFOR recognizes the positive elements in the Commission proposal, such as the creation of a separate LULUCF pillar, the shift to land-based accounting, the integration of harvested wood products, options for the exclusion of emissions from natural disturbances and the inclusion of flexibility instruments. Climate policy should have a stronger link with the development of the bioeconomy. EU policies, such as those on the bioeconomy, have been developing intensively since 2009 and must be reflected in the reference levels, provided that they are linked to the climate and energy targets. Mitigation effects of forest management and wood products should be fully accounted for. Forest reference levels (FRL) could be accepted as a compromise, provided their calculation clearly distinguishes between natural and human-induced carbon sinks and incorporates the latest data and information, including forward-looking policies and plans affecting forest management. 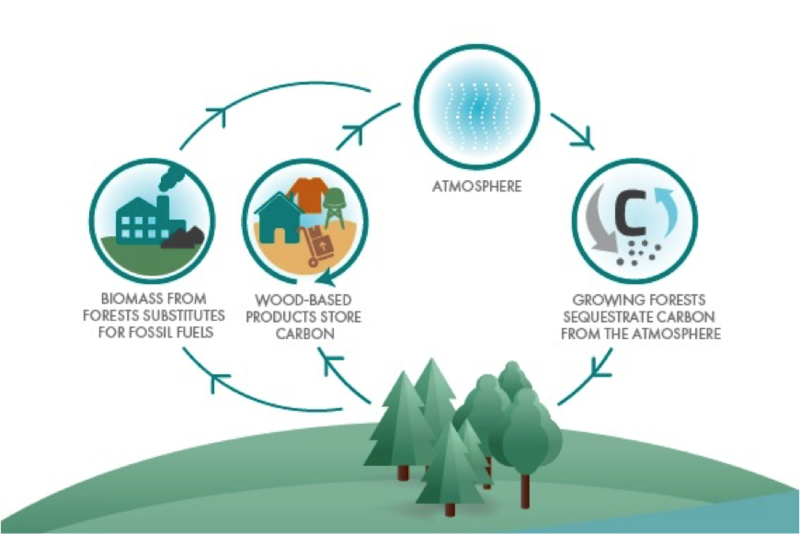 Moreover, forest owners and managers cannot directly influence the use of forest products along the supply chain. Thus, a clear separation of the reporting and accounting of forest and Harvested Wood Products pools is required. EUSTAFOR opposes the provision that gives the Commission the right to recalculate FRL. Member State experts should carry out setting up FRL (Forest Reference Levels) in order to follow the subsidiarity principle. EUSTAFOR prefers to include managed forestland in the Effort Sharing Regulation flexibility. Net removals from afforested land, managed cropland and grassland can make use of a new flexibility in the Effort Sharing Regulation. Managed forestland is excluded from this provision, discriminating against Member States that have large forest areas and limited land for afforestation. This will limit investments in additional activities in managed forests. You can read the EUSTAFOR Position Paper on the European Commission’s legislative proposals on LULUCF and ESM at this link.